Linda's Angels: $30 Walmart Flash Giveaway!!! Welcome to the Walmart Flash Giveaway! 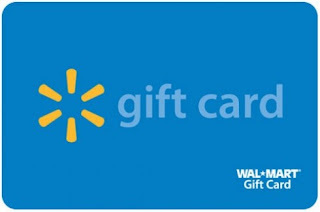 One lucky reader will win a $30 Walmart gift card to use on their next shopping trip. Giveaway ends on 3/29 and is open to the US only. Good luck! Gardening gloves and Easter candy! Flip flops for the family, warm weather has come early! Easter Candy and Spring Clothes!! I'm getting my spring flowers from Wal-Mart and some outdoor toys for the baby! Spring clothes and somthing for my two sons. Probably some flowers to plant...or maybe some Mother's Day flowers for her to plant.